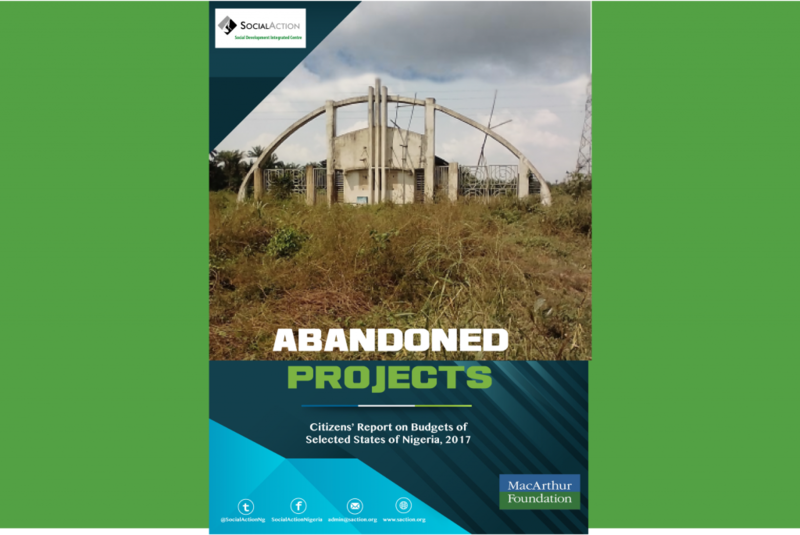 Abandoned Projects: Citizens’ Report on Budgets of Selected States in Nigeria, 2017 is the documentation of analyses and findings from the monitoring of the implementation of the 2017 annual budgets of six selected states of Nigeria, Abia, Akwa Ibom, Bayelsa, Delta, Kano and Nasarawa. The report shows a continuing pattern of underwhelming spending on the social sector in 2017, even as budgeting in the states remained poor. 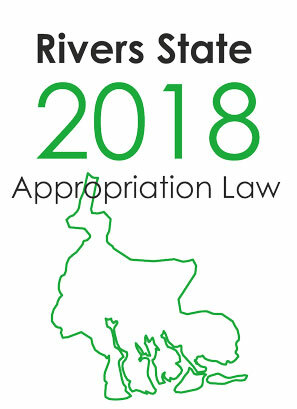 Projects executed in previous years continued to appear in budgets as new projects while several projects that gulped large budgetary funds over the years were either roundly abandoned or never got off the ground. 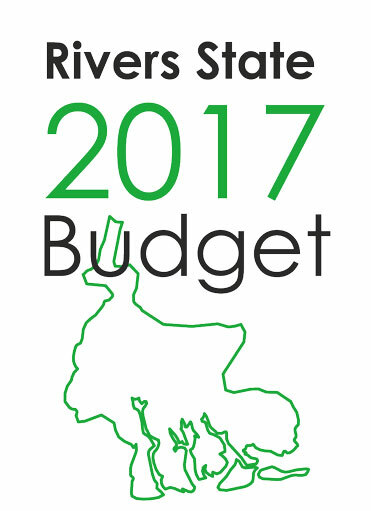 Budget lines continued to be vague, ill-described or ambiguously defined in budget documents hindering accountability and good governance much to the detriment of the people whose lives the projects would have impacted positively. As an output from Social Action’s anti-corruption efforts at the sub-national level of government in Nigeria during the year 2017, the findings of budget analyses and monitoring is a tool for further public advocacy by citizens and civil society organisations at the grassroots level. 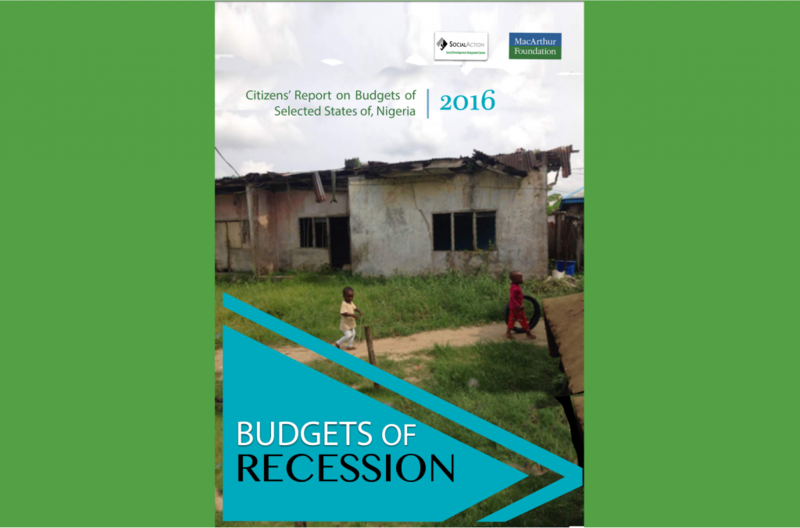 This report contains the evaluation and monitoring of the 2016 annual budget allocations and project execution in six states of Nigeria: Abia, Akwa Ibom, Delta, Bayelsa, Nasarawa and Kano.